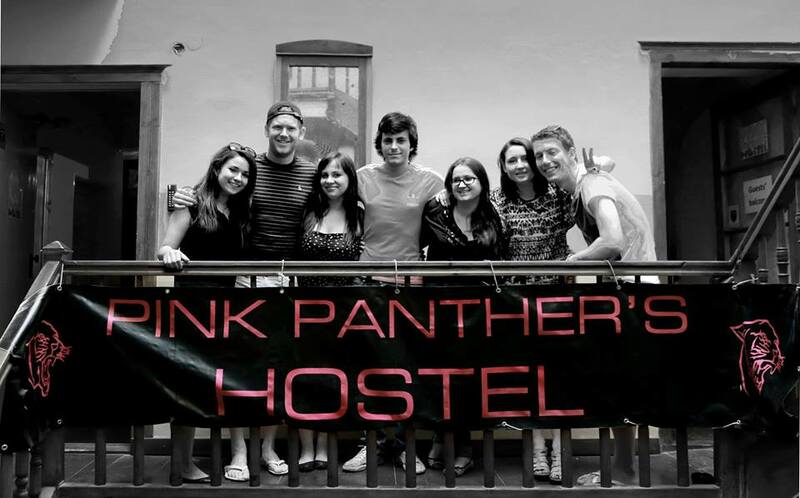 Book into Pink Panther’s hostel and step into a party! Fun, fun, fun is the philosophy of this hostel – set in the heart of the city and just minutes on foot to some of Kraków’s best attractions, or seconds away to vibrant nightlife, the atmosphere and location of Pink Panther’s is perfect for the hosteller who likes to socialise. 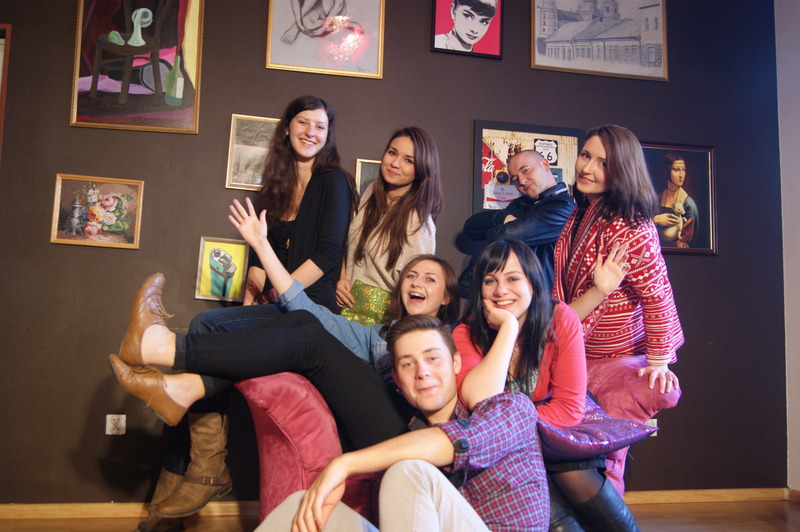 Dedicated and fun hostel staff tell us what they love about Kraków and what makes the Pink Panther’s Hostel special. The best thing about my hostel is….the atmosphere, the staff and the possibility to meet people from all around the world. It has a very chilled out vibe and is a friendly place to be. The best part of our job is… meeting new people from all around the world, some of who we are still in contact with today; talking to travellers about the trips they’re taking; and the different events and activities that are put on every day such as pub crawls and even a chocolate fountain! Our best memories of working at our hostel are… New Year’s Eve parties, preparing fun events for the guests together, and playing beer pong! We love working in our city because… Kraków is Poland’s capital of culture and there’s so much to do here, whether it’s concerts, language classes or the best clubs in Poland. The vibe and dynamics make this city special. The best advice we can give to a traveller visiting our city is… some of the best places to visit are the charming Kazimierz district, the Jewish Quarter, the Royal Castle, and beautiful Zakrzówek Lake, especially in summer. Check out Prozak for alternative music and Cocon is the biggest gay club. Don’t drink in public places due to the ban, try some traditional Polish food in restaurants and aside from that, go with the flow! The best place to eat in my city is… for students or those on a budget, Chinese restaurants or cooking in the hostel is a great way to save money – Dynia is also good quality and not too expensive and Koko serves really large and tasty portions. For something more traditional (and if you’re brave enough!) a typical Polish milk bar where you can find home-style food. And even if you’re not vegetarian, one of our favourite restaurants is Glonojad which has a different menu daily; Pod Norenami is also a delicious vegetarian and vegan restaurant. The best place to relax in my city is… Zakrzówek Lake – you can swim and dive there during the summer. Kraków is also surrounded by a green area. Almost everywhere you can find a nice spot to just sit down, have a coffee and read a book. During the winter season the best option is just to choose one of a thousand cafés in Kazimierz – like Eszeweria, Singer or Alchemia – and get caught up in the bohemian atmosphere. Travellers are beneficial to our city because… tourists love Kraków because everybody can find something for themselves here. The cultural diversity of Kraków makes everybody feel like at home and not-at-home at the same time. Besides, travellers change the mentality of the younger generation in Poland in a positive way which is really beneficial for society. Thanks to them Kraków is always busy and multicultural and is able to financially develop itself. On our days off we like to… chill out by Vistula River, go to concerts, museums, the cinema, pubs or clubs with friends. Sometimes the most common activities can turn into something unusual. Inspired to book a stay at Pink Panther’s Hostel? Click here and make it a reality. Hi, thanks for tourist tips on where to go. My friend was at your hostel twice and really liked it. And now we recommend it further on. We took Polish course at Prolog: http://polishcourses.com/. It significantly helped us speak better Polish. I mean it’s not easy to learn it, but once we learned some, it helped us at the university a great deal. And your hostel staff is always helpful. Cheers!